It’s hard to believe that we’re already more than halfway through 2017, and yet here we are, in late July. It’s been six months of incredible change and growth around Book4Time, and we couldn’t be happier with the way things are going. We’re excited to see an increased demand for our cloud-based Spa management solution – no longer is this the disruptor but now the norm, as we see more companies move away from legacy on-premise solutions. It’s not just me saying so! According to Gartner Inc., the worldwide public cloud services market is projected to grow 18% in 2017, to $246.8 billion from $209.2 billion in 2016. And by 2021, Gartner predicts that more than half of global enterprises already using cloud today will adopt an all-in cloud strategy. Amazing. For, us, this means we’ve welcomed a record number of new clients aboard this year. It also means finding exciting new and innovative ways of using our technology to push the Spa industry forward. To this end, MINDBODY has partnered with Guest Intake, a digital intake form system we recently launched to improve the guest intake experience. This partnership is just one more example of the move towards a paperless intake experience in the spa and wellness world that we see happening every day. We’re also excited to announce the expansion of our activity booking platform to support hotels and resorts in offering an incomparable guest activity booking experience for fitness classes, recreation, excursions, and more. The expansion of our online activity scheduling platform positions Book4Time as your one-stop shop for everything from spa to recreation. On top of that, we’ve launched a dedicated mobile booking experience, which allows guests to book appointments from anywhere and at any time. Thanks to this new mobile platform our clients have seen a big increase in bookings, as well as higher conversions and basket size. Meanwhile, we’re proud to be able to say that our system uptime and availability is at 99.99% and an amazing customer retention rate of 98.5%. All this growth means expanding our team and hiring new staff with industry knowledge, people with a passion for client success, and a focus on sales and product development. We’re thrilled to announce that among these new hires is Daryll Naidu, who has joined us as our new Client Success Manager. 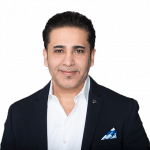 Coming from his position as Director of Spa Operations at Miraj Hammam Spa by Caudalie Paris, Daryll brings first-hand operational knowledge, and in-depth understanding of customer service and experience within the spa and wellness industry, and we are honoured to have him aboard. Finally, in our quest to seek out and explore new and innovative ways to help those in the spa and wellness industries, we launched Spa Executive magazine in May. Designed for leaders in the business of wellness, Spa Executive features articles on the latest trends and treatments, the most beautiful properties, newest technologies, as well as insight and advice about how to master all the business challenges. We hope you’ll read it, share it, get something out of it, and tell us what you think of it. Looking forward to the rest of the year, we have a lot of new innovative developments planned for the remainder of 2017 and this will set the pace for 2018 to be an amazing year. Thank you for being a part of our community. Looking forward to the rest of this amazing year with you!